Unlike the other shipping container homes designed by Keith Dewey, the FLW Container House was designed to be spacious and elegant, sacrificing a bit of efficiency for aesthetics. 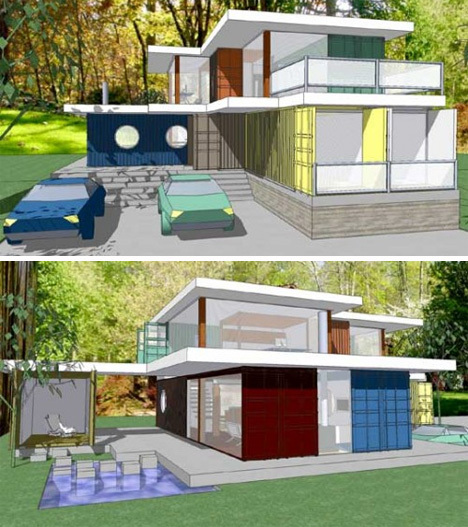 The home design was Dewey’s answer to skeptics who believed that shipping container homes couldn’t be graceful, attractive residences. The design uses eight shipping containers and features a stunning open floor plan that any family would be thrilled to inhabit.